State Library Victoria – Arts on Film: Love’s Labour’s Lost. Arts on Film: Love’s Labour’s Lost. Shakespeare’s comedy in five acts Love’s Labour’s Lost, is the next program in the Arts on Film series to be screened this Wednesday September 12 in Arts. 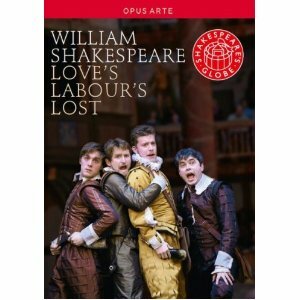 Love’s Labour’s Lost features Philip Cumbus, Trystan Gravelle and artists of the Globe Theatre, London. 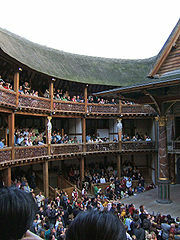 Direction is by Dominic Dromgoole and the play was filmed before a live audience at Shakespeare’s Globe in the heart of London. The Globe Theatre. Flickr/tracy from north brookfield,Massachusetts, usa. c2005. Courtesy Wikimedia Commons. Shakespearean attractions closer to home include Bell Shakespeare company’s forthcoming collaboration with the Melbourne Symphony Orchestra featuring excerpts from Romeo and Juliet in November. The Melbourne Theatre Company recently presented Queen Lear, a reinterpretation of Shakespeare’s King Lear, featuring Robyn Nevin. The Australian Shakespeare Company also performs a Winter Shakespeare Series in Melbourne, and the very popular Shakespeare Under the Stars at various outdoor venues over the summer months. 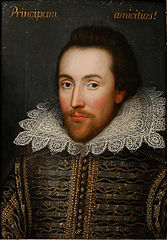 Cobbe portrait of Shakespeare, c1610. Courtesy Wikimedia Commons. Love’s Labour’s Lost commences at 12.00 noon and concludes at 2.45 pm (approx). It will be held in the Arts Listening-Viewing Room. Enter via the Arts Reading Room and Audio-visual Centre (from Trescowthick Information Centre). Admission is free. No bookings required, but come early as seating is limited. Enjoy!